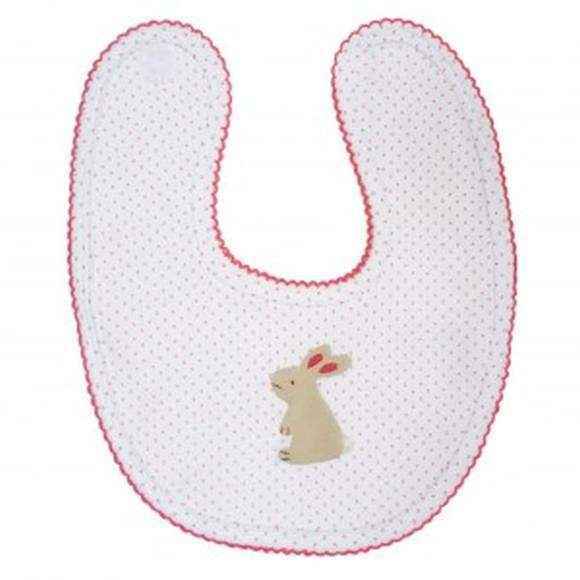 This cute baby rabbit gift set features a pink polka dot romper with sweet appliqued bunnies, a bunny bib, and a linen bunny toy wearing a pink polka dot dress. 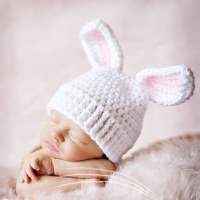 This cute baby rabbit gift set makes a sweet and unique baby girl gift! 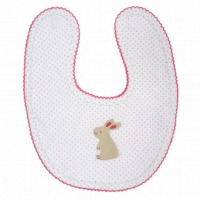 The romper in this cute baby rabbit gift set makes adorable PJs and is cute to wear all day. 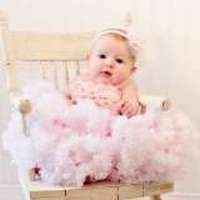 The romper is also perfect to wear during her naps as a sleeper. 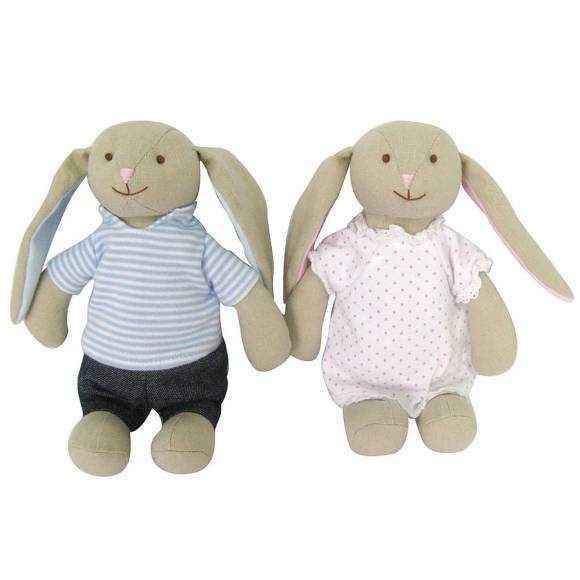 Baby girls will love the doll in this cute baby rabbit gift set. 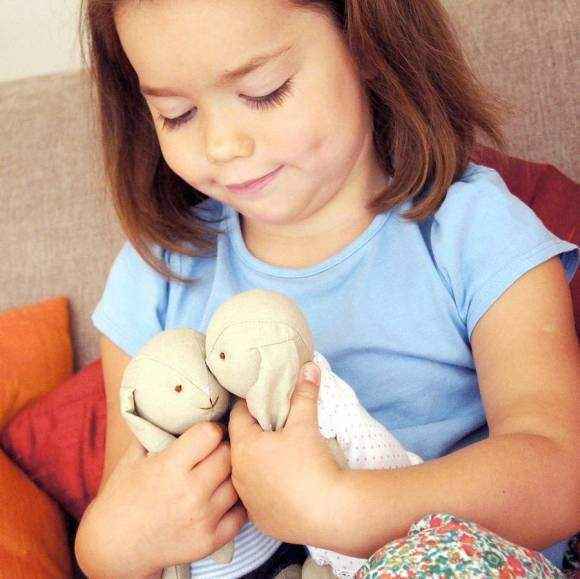 Note that the bag and boy bunny with blue shirt in the photos do not come with the set.